How can we convince readers, and especially students, to slow down to the crawl that is often necessary to see the real power in the compressed language Hemingway uses to tell a story? 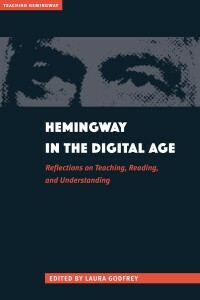 Are there qualities of digital age life that make students, somehow, more connected to Hemingway’s life and his writing? How can we compare the 21st-century “transhumanist” interest in making ourselves into “something more than merely human” with Hemingway’s characters like Nick Adams, Jake Barnes, Frederic Henry, Catherine Barkley, Pilar, Robert Jordan, or Santiago, all of whom similarly wrestle within the bounds of their own mortality? Laura Godfrey has assembled a group of scholars who speak eloquently to these questions. Hemingway’s characters are seen trying to live life “all the way up,” the way Hemingway’s bullfighters did—so which characters do we see as most engaged with the world? Which characters paid closest attention to others and to their environments? Within this framework, Hemingway’s work emerges in stark relief as being about the value—indeed, the necessity—of thoughtfully trying to understand and connect with people and places. 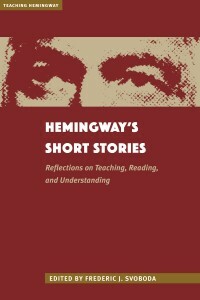 And so, in this 21st-century “digital age” and its increasing vocabulary about the importance of being mindful, present, intentional, and engaged, Hemingway’s writing has become relevant for readers and students of all ages in exciting new ways. EditorLaura Godfrey is associate professor and assistant chair of the Department of English and Humanities at North Idaho College. She has published widely on American literature and Hemingway; her first book, Hemingway’s Geographies, appeared in 2016.